Mykonos is a fiery coalescence of fabled mythology, sublime beaches and intoxicating cosmopolitan energy set against an idyllic Greek island backdrop of sea and sand. Home to over 10,000 inhabitants and legendary nightlife, Mykonos is one of the most famous party islands in the world. Attractions include Paraga Beach, Panagia Paraportiani, Little Venice and Hora (Mykonos Town). 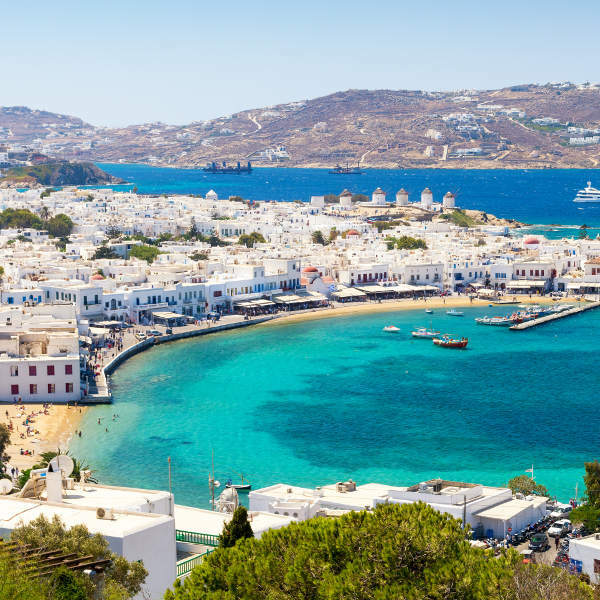 Prepare yourself for an unforgettable journey into a world of gods and goddesses, balmy skies and heavenly beaches, and the easy going allure of Greece, with cheap flights to Mykonos. The island is home to Mykonos Island National Airport (JMK), which is a 10-minute drive from the heart of Mykonos. There is no escaping the blazing fervor and magnetism of Mykonos nightlife. When night falls the clubs, bars, alleyways and beaches tremble and throb with writhing bodies and thumping music. 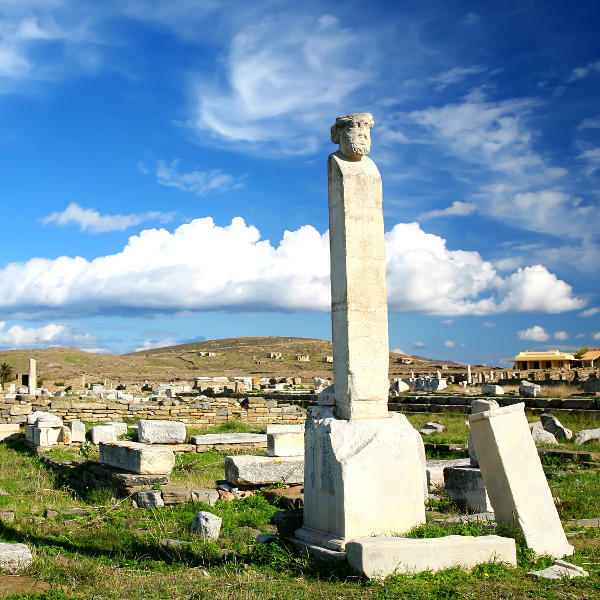 Legend says, the island was named after Mykons, son of Apollo, and is the petrified corpse of a Giant that was thrown into the sea when Hercules slew the Giants. There is no place like Mykonos. The island weaves together velveteen coastlines in dazzling shades of maple and turquoise with luminous green slopes, hickory-hued ruins and whitewashed Cycladic architecture. Mykonos experiences a Mediterranean climate, with mild, wet winters and hot summers. The island experiences moderate rainfall and wind throughout the year. Average temperatures range from 27 degrees Celsius in summer to 8 degrees Celsius in winter. For good weather and swimming conditions, the best time to visit Mykonos is between June and September. 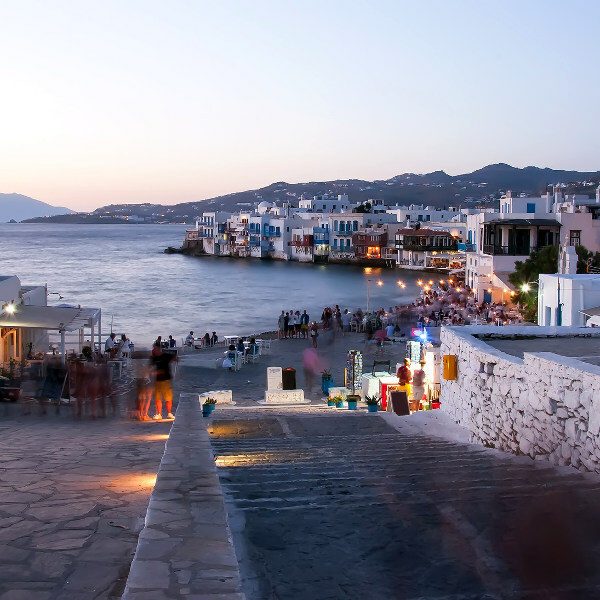 The tail end of June to mid-September is the best time to visit if you want to experience the best of Mykonos nightlife. If you want to go island hopping, the best time to visit is late April and early November and mid-May to early October. For cheap flights to Mykonos, the best time to visit is April, May and October. It is important to note that there is a lot less going on during these months. According to mythology, during the battle between Hercules and the Giants, Hercules threw the corpses of the Giants into the ocean, where they petrified and transformed into the rocky mass that is now Mykonos. And while the legends may be nothing more than the mythical tales of Greek poets, the island of Mykonos has become an emblem of Greek lore. Traces of mythological fables are etched into the city streets and embedded in the hearts of those who call Mykonos home. However, the island is also a place that shimmers with cosmopolitan energy and authentic beauty. By day, you can wander down the iconic cobbled alley of Matoyanni; laze beneath a thatched palapa on Paradise Beach; indulge on an authentic gyro in Little Venice; visit historical sites such as Panagia Paraportiani; or climb to the top of the island and gaze down in awe at the Cycladic architecture sunken into the landscape like glowing sugar cubes. When the sun sinks below the horizon, you will find yourself swept up in the scintillating romance, mystery and fervid energy of the nightlife. Compare several airlines, and book your cheap flights to Mykonos online at Travelstart! Although Mykonos is considered safe, crime does happen. It is advisable to take certain precautions and maintain vigilance as you would in any other unfamiliar city. Travel insurance to cover theft and medical expenses is recommended. Adders, vipers and coral snakes are present in Greece. Wear boots, socks and long trousers when venturing into untamed areas. Avoid travelling alone at night (especially if you are a woman). If you have to travel around at night, stick to well-lit areas and make use of marked taxis or car rentals. Avoid carrying large sums of cash and important documents, as pick-pocketing and bag snatching can happen. Bottled water is recommended. Although the risk of malaria in Greece is low, precautions should also be taken to avoid being bitten. Avoid dehydration, heat stroke, and sunburn by drinking plenty of water and using sunscreen with a high SPF. Proof of yellow fever vaccination is required if you are travelling from a yellow fever endemic area. Immunisations against hepatitis A & B and rabies are recommended. Other routine and recommended vaccinations include MMR, diphtheria-tetanus-pertussis, varicella and polio.